22.04.2015. Londoners interested in tasting food from foreign lands are invited to attend a special fair in central London this weekend. The Duke of York Square Saturday Market is hosting an event called Taste Georgia on Saturday, which will offer Georgian national wine, traditional meals such askhinkali, khachapuri and bread baked in a circular clay oven called tone. 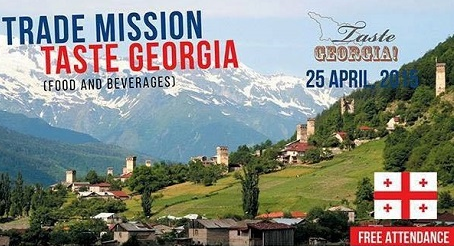 "Go along and learn more about unique Georgian food and wine and taste some of the traditional Georgian dishes in pop-up restaurants,” said the British Embassy in Tbilisi in a statement. Taste Georgia will start at 10am and continue until 6pm. The event is being organised by Enterprise Georgia in cooperation with the British Georgian Chamber of Commerce, Georgia’s Embassy to the United Kingdom and the British Embassy in Tbilisi. As well as tasting Georgian food and wine, visitors will also be able to talk with Georgia’s British population and learn more about the ancient country and culture.